The retrorefl ectivity of glass beads is better explained by examining the path of light as it enters a single bead in the paint (Figure 2.5). There are actually millions of tiny beads in each mile of beaded line that must perform this principle. we are a glass beads factory for thermoplastic road marking. it is high quality and conforms the requirements of different country's market . Thermoplastic Road Marking Reflective Glass Beads is material for reflective thermoplastic road marking materials. Glass Microshpere Glass Beads Road Marking can improve visibility of the traffic markings and road signs and supply safer night driving conditions, it used with traffic paint to be clearly seen at night by the reflection of the headlight of an automobile. Glass bead reflectivity is the most common way of reflecting light. Thousands of small glass beads embedded in traffic paint will cause it to light up when automobile lights hit it. Because of their shape and clarity, each glass bead reflects light back to the source. Our reflective glass beads are designed to be added to the surface of traffic paint to make it retro-reflective. The addition of these glass spheres has a dramatic effect on the night time visibility of stripes and markings. Recommended rate of application is 6 pounds per gallon of traffic paint. The beads are to be sprinkled ON TOP of wet paint or hot thermoplastic. They provide a sharp degree of reflectivity in wet or dry conditions. These are the same beads you will see at night on interstate highway lines. The glass beads can also be used in a variety of other applications where reflectivity is desired. Whenever they are distributed on top of wet paint the surface becomes reflective. They have beome very popular in craft type applications. These micro glass spheres can improve the road marking line contrary reflection function. When driving at night, the lamp shines on the marking line with glass bead in it, the ray of lamp is reflected back parallel. So the driver can look at the road clearly and drive safely at night. 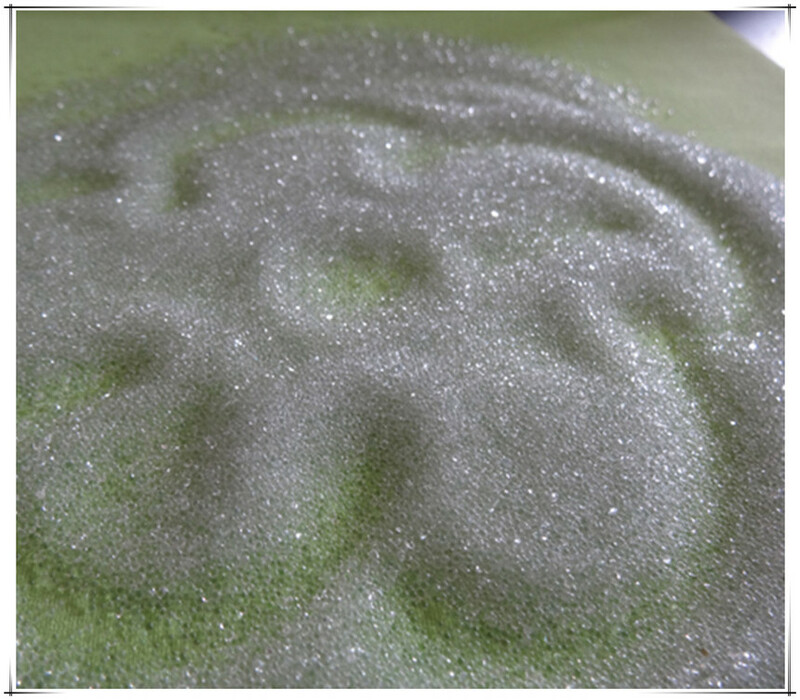 As a kind of glass sand as raw material, Micro Glass Beads For Thermoplastic Road Marking, after the high temperature melting and the formation of a small glass beads, reflective glass Beads, Reflective Road Marking Spherical Glass Beads are observed colorless, spherical, transparent under the microscope. The refractive index is between 1.50 and 1.64, and the diameter is typically between 75 and 1400 microns. 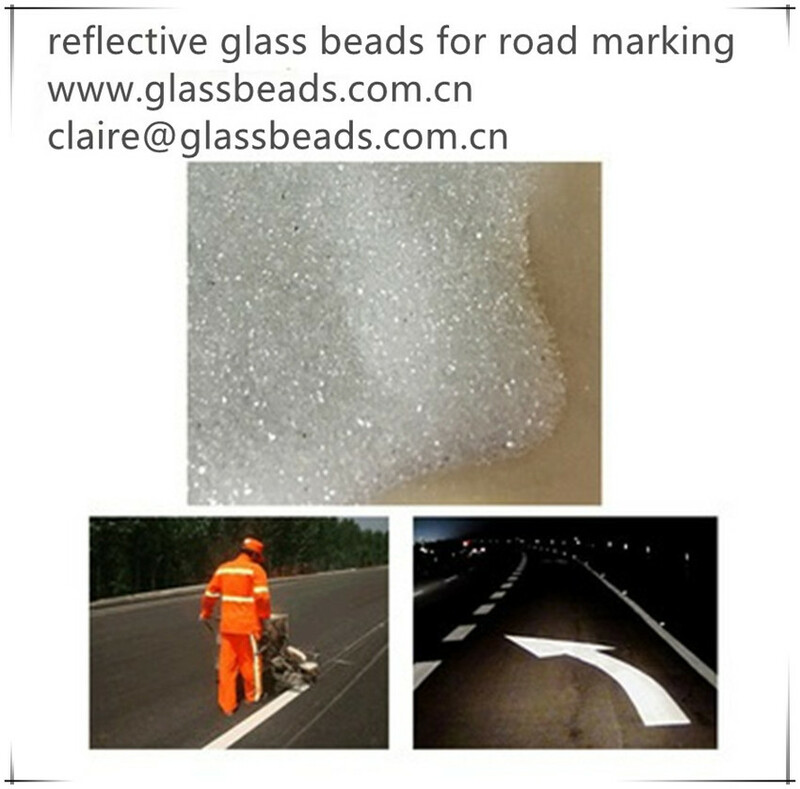 So also called road marking glass beads, Glass Microshpere Glass Beads Road Marking. At present in the country's main production reflective road marking paint glass beads have two production processes, flame float and electrothermal melting. we normal produce road marking glass beads, Irregular Swimming Pool Colored Glass Beads, Rainy Night Reflective Glass Beads, Polishing Blasting Grinding Glass Beads, Blasting Material Shot Blasting Glass Beads, Intermix Glass Beads etc. Type II: Glass Bead for Jetting: Glass bead for jetting has the features of chemical stability, high mechanical intensity and hardness. They can be jetted onto the object surface with compressed air and can be used on compress glass, rubber, plastic, moulds with metal casting or compressing. The jetting balls would help reduce elasticity of the surface materials and increase wearing capacity. Type III: Glass Bead for Grinding: With the advantages of smooth surface, even size, high hardness, wearable and stable, widely used as disperser, grinding media and filler materials in day, paint, ink and chemical industry. For glass beads semi-finished products, sieve with the shaker.